The Disaster Relief Emergency Fund (DREF) is a fund of unearmarked money set up by the International Federation of Red Cross and Red Crescent Societies (IFRC) in 1985 to ensure that immediate financial support is available for Red Cross Red Crescent to response to emergencies. Requests for DREF allocations are reviewed on a case-by-case basis and are limited up to 1 million Swiss francs per allocation. Allocations to start-up operations in major disasters are considered to be loans and are reimbursed when sufficient funding is received through the emergency appeal. Minor emergencies, referred to as DREF operations, for which no appeal is launched, are considered to be grants and often fully cover the operation budget. Allocations can also be requested to allow preparedness for imminent crises, when the emergency response has not been planned for in an annual appeal. 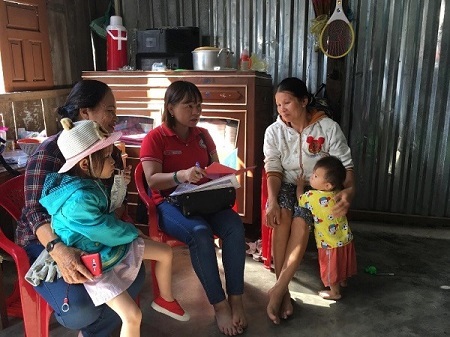 237 household surveys were conducted from late January to 6 February in six hardly hit provinces of Thua Thien Hue, Quang Nam, Quang Ngai, Binh Dinh, Phu Yen and Khanh Hoa. The survey consists of 20 questions which mainly focus on the following issues: (i) how bad your family was aftermath the typhoon Damrey; (ii) what kinds of support have you received; (iii) have you involved in the beneficiary selection process; (iv) how have you seen the selection process done in your community; (v) how do you rate the support given by the VNRC both quality and quantity; and (vi) how do you use the support given by VNRC. Support provided by VNRC consists of shelter tool kits; household kits; water purification tablets; unconditional and conditional cash grant. According to the survey, 100% respondents admitted that the typhoon has interrupted their lives in one or another way as well all said that they have been part of the selection process from the beginning and the beneficiary targeting seems to be going transparent. In relation to the quality and quantity, all satisfied with the quality and quantity of the support and VNRC staff attitude during the operation. It is reported that VNRC should have started the operation earlier by reaching affected people within the first 30 days of the typhoon. Among 237 respondents, 50% are female. 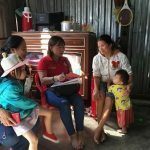 13,615 people (6,191 female) from 3,581 households in 11 communes of five districts in Viet Nam’s Binh Dinh Province have received assistance from the Viet Nam Red Cross (VNRC) in the aftermath of typhoon Damrey, the most devastating typhoon in many decades. The assistance came through both the provision of unconditional cash transfer, to enable affected households to purchase essential items and services, and conditional cash transfer to purchase breeding cows. The above assistance has been made possible by the New Zealand Government through the IFRC. VNRC has been seen in the field just few days after the typhoon hit, providing 450 household kits to the most affected households and conducting needs assessments and beneficiary selection for the above-mentioned interventions. A beneficiary satisfaction survey, in combination with post distribution monitoring, was conducted on a random basis at the end of the operation in all targeted communes. All surveys showed that the operation has selected the right beneficiaries and the interventions were well received by the people. In addition, representatives from the New Zealand Government visited Phuoc Hoa commune of Tuy Phuoc on 1 February to monitor the operation interventions. Good feedback was given to the IFRC and VNRC for an effective and timely outreach to affected people. At least 30,246 people (11,696 households) in the six hard-hit provinces (Thua Thien Hue, Quang Nam, Quang Ngai, Binh Dinh, Phu Yen, and Khanh Hoa) of Viet Nam have received assistance from the Viet Nam Red Cross (VNRC) in aftermath of one of the most devastating typhoons in many decades. The assistance came through either the provision of non-food items (i.e. shelter tool kits, household kits, water purification tablets) or direct and unconditional cash transfer, to enable affected households to acquire essential items and services. The above assistance has been made possible by the IFRC DREF and the New Zealand Government through the IFRC. VNRC has been seen in the field just a day after the typhoon, providing emergency assistance to the most affected households and carrying out needs assessments which both are highly appreciated by the people and other stakeholders. Typhoon Damrey made landfall in early Saturday morning, 4 November 2017, with winds of up to 135km/h, wreaking havoc in the central and south-central coast of Việt Nam; before entering Cambodia. According to the latest information from National Steering Committee for Natural Disaster Prevention and Control (DNDPC), as of 8 November, 109 people died and 174 injured. The typhoon has destroyed nearly 1,500 houses and around 120,000 houses are partially damaged. It is estimated that 4.3 million people are affected, with around 381,000 people requiring assistance. The most affected provinces, including the Central Highlands (Lâm Ðồng, Kon Tum, Ðắk Lắk, and Gia Lai) and the South-Central region (Khánh Hòa, Phú Yên, Bình Ðịnh, Quang Nam and Quảng Ngãi), have high numbers of dead and missing people, seriously damaged infrastructure, collapsed/unroofed houses, and some 20,000 hectares of crops destroyed (including 5,296 hectares of rice, almost 15,000 hectares of vegetables, and 24,435 agricultural cages). 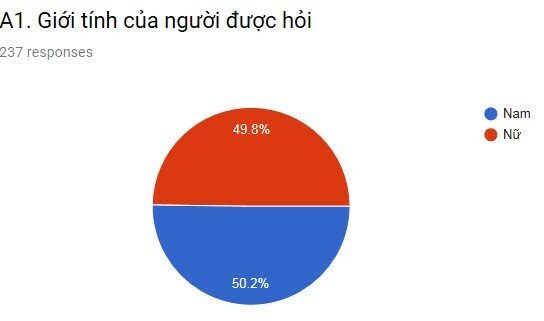 All of Phú Yên Province and Khánh Hoà Province except for Nha Trang City; and all of Bình Định Province other than Tam Quan District suffered from total power outages. Parts of Đắk Lắk, Kon Tum, Đắk Nông and Quảng Ngãi Provinces share the same fate. Dozens of flights have been cancelled. The typhoon has also disrupted railway transportation between North to South. According to the Chief of Office of the National Search and Rescue Committee, Typhoon Damrey was the strongest storm to make landfall in Khánh Hòa Province and the south-central region in the last 20 years. The recorded danger level of Damrey was higher than that of Typhoon Doksuri which pummeled the central region in September, earlier this year. Việt Nam Red Cross Society (VNRC) monitored the typhoon development before making landfall in Việt Nam. 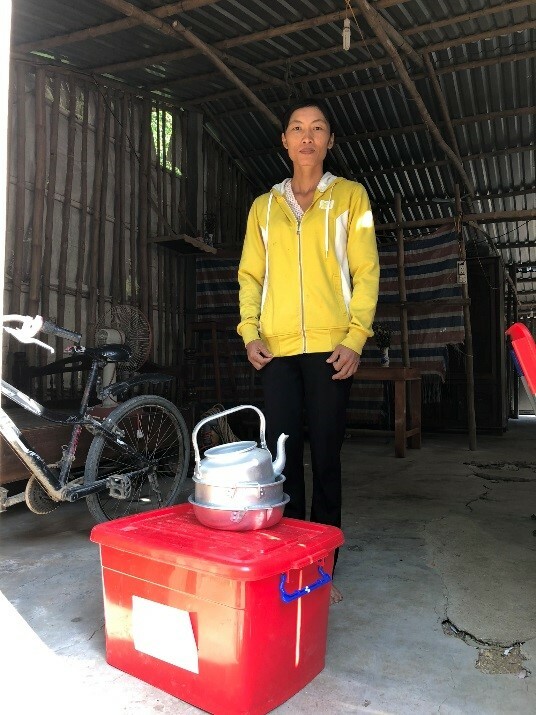 VNRC immediately released emergency aid, including cash assistance (CHF 51,000) and essential non-food items, including 600 shelter tool kits, 1,200 tarpaulins, 600 water filters and 272,000 water purification tablets (WPTs); to affected provinces of Khánh Hoà, Bình Định, Phú Yên and Đắk Lắk on 5 and again on 8 November. VNRC also dispatched two teams to Khánh Hoà and Phú Yên and Bình Định to provide relief assistance to the affected people. A coordination meeting with in country Red Cross Movement partners was convened by VNRC NHQ on 6 November. At the meeting, VNRC provided an update on the situation, outlined their VNRC response plan and called for support from partners for the immediate deployment of Provincial Disaster Response Team (PDRT) in the six worst affected provinces. National Disaster Response Teams (NDRTs) and Provincial Disaster Response Teams (PDRTs) deployed to the six worst affected provinces of Quang Nam, Quang Ngai, Phu Yen, Binh Dinh, Dak Lak and Khanh Hoa. Thousands of volunteers and staff from local chapters participated in the evacuation of people to safer places before the typhoon hit and coordinated with local chapters to prepare for emergency response. These teams have also been actively involved in needs assessments and relief distribution. In response to the situation, the International Federation of Red Cross and Red Crescent Societies (IFRC) has released its Disaster Response Emergency Fund (DREF) to assist VNRC to provide immediate assistance to more than 10,000 worst affected households in six provinces. The support is in forms of direct cash transfer; household kits; shelter tool kits; water purification tablets and disease prevention and control. 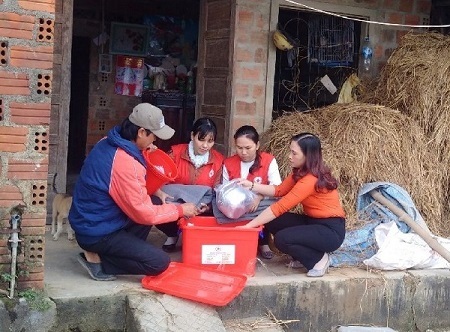 In addition, the IFRC has submitted a proposal to New Zealand Government to provide emergency and early recovery needs of more than 5,000 households in Binh Dinh provinces. Both support stand at CHF 720,000. 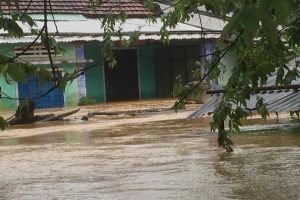 Typhoon Doksuri made landfall in central provinces of Viet Nam on Friday, 15 September 2017, causing serious floods in many communities along the costal line in the six provinces of Thanh Hoa, Nghe An, Ha Tinh, Quang Binh, Quang Tri and Thua Thien Hue. According to the Central Steering Committee for Natural Disaster Prevention and Control (CCNDPC), at least 14 people were killed, 112 injured and four others missing after Doksuri swept through Viet Nam on Friday and Saturday. 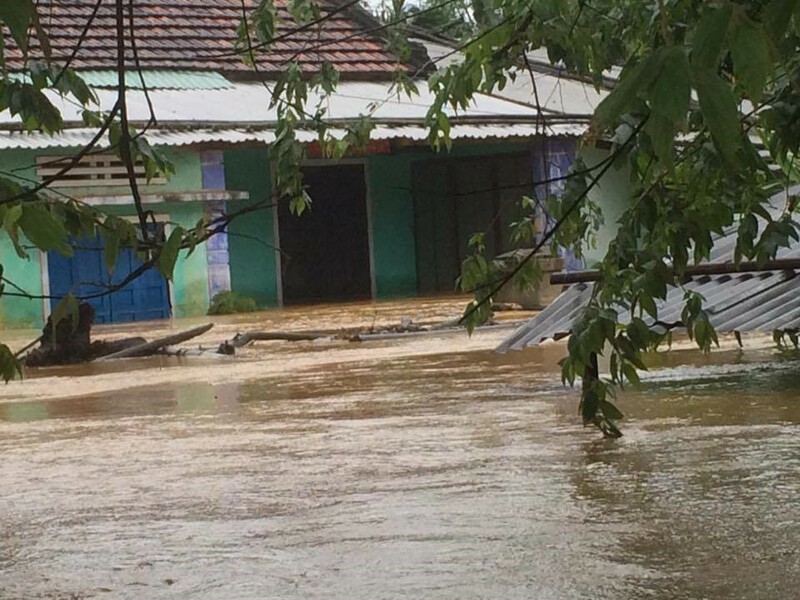 The typhoon, the tenth to hit Viet Nam this year, caused widespread rainfall of between 100-250mm in provinces from Thanh Hóa to Thừa Thiên-Huế and left 1.3 million people without power. The typhoon has caused severe damage not only to civil properties but also to community infrastructure such as schools, public buildings, and river and sea dykes among others. In response to the Typhoon, National Disaster Response Teams (NDRTs) and four Provincial Disaster Response Teams (PDRTs) were activated and deployed to the four most affected provinces of Nghe An, Ha Tinh, Quang Binh, and Quang Tri to assist the local chapters to evacuate people to safer places before the typhoon hit as well as coordinate with local chapters to prepare for emergency response. 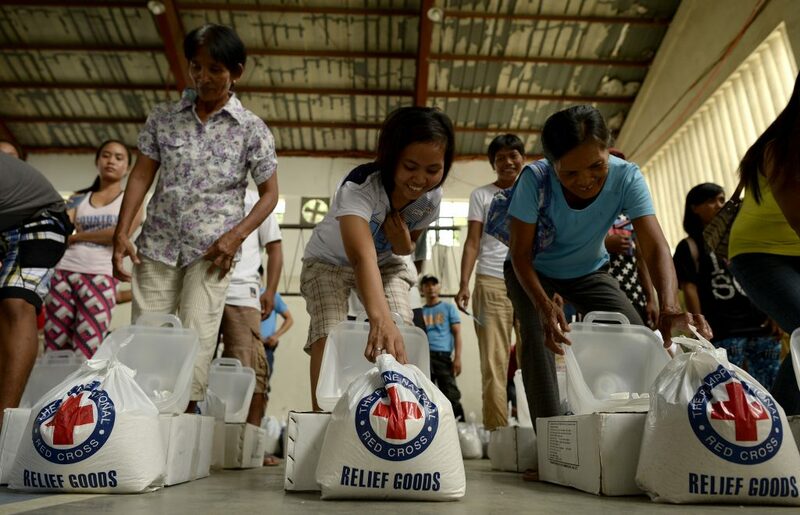 These teams have also actively been involved in the relief distribution and needs assessment after the typhoon. 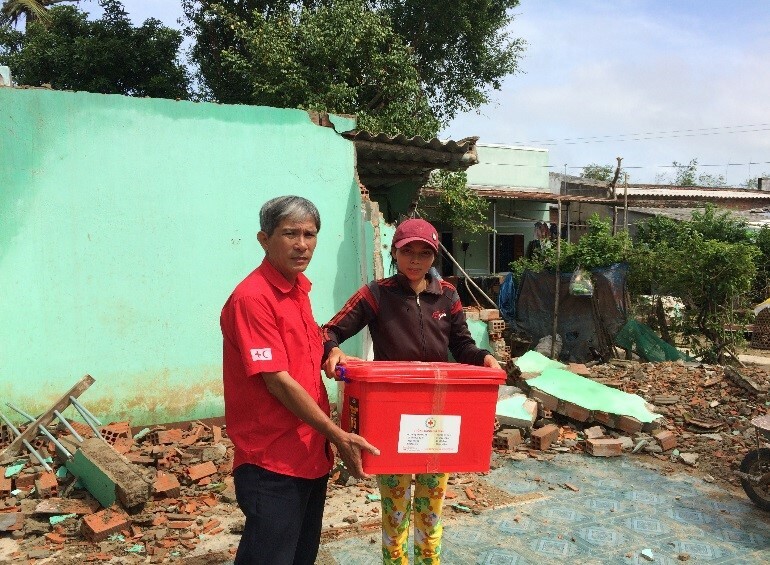 The Viet Nam Red Cross (VNRC) headquarters has released its pre-positioned stock including 600 shelter tool kits and emergency response funds (equivalent CHF 67,000) to provide initial support to the affected population. Resource mobilization is on-going in order to continue with its emergency operation and the future recovery program. VNRC carried out a rapid assessment in four provinces on 16 September 2017. The assessment team used a participatory approach for data collection, ensuring the involvement of communities. The rapid assessment team submitted their initial findings on 17 September 2017 and analysis was immediately undertaken by VNRC headquarters. Based on the collected data, the main impacts of the typhoon have been observed to be shelter and livelihoods as well as rice, vegetable and other crops. The Government of Viet Nam has confirmed rice support to all affected families for a period of three months and cash grants for reconstruction of shelter. However, according to the assessment, there is still a gap in assisting the most affected families to recover from their losses. 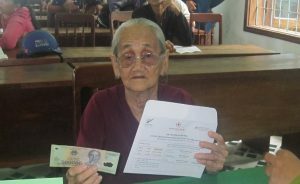 Therefore, VNRC has launched a national appeal and request for a DREF Operation (CHF 236,580) to provide assistance to 3,600 households in two hard-hit provinces of Ha Tinh and Quang Binh. The assistance is in form of cash grant to 700 households and shelter tool kits to 2,900 families. The operation is expected to end within 60 days. 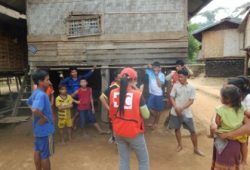 In August 2016, Lao Red Cross responded to landslides and flooding that has occurred across the northern part of the country over the past weeks. 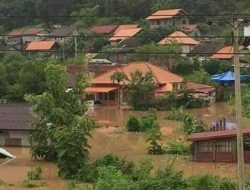 Earlier, heavy rains started pouring down in the provinces of Luangprabang, Oudomsay, Salavan and Sayyabuly. 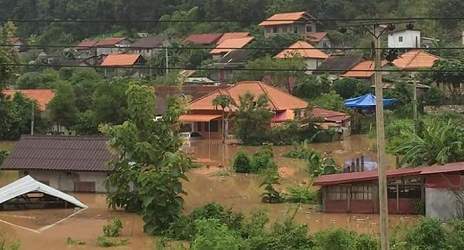 More rains arrived later and the province of Xiengkhuang suffered the brunt of the rainfall. The government reports that around 18,800 people have been affected in Oudomsay, a mountainous province in the northwest of the country in which most of the population still practices subsistence agriculture. 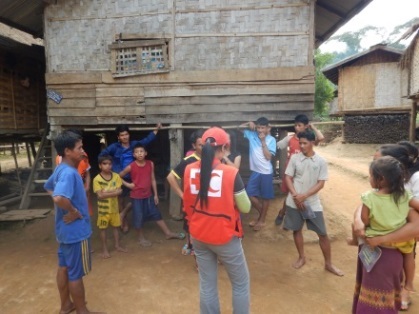 Read more by clicking the tabs below on Lao Red Cross activities supported by IFRC using from its DREF (see the Emergency Plan of Action) to Lao Red Cross. 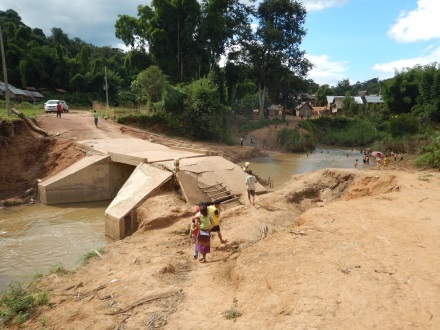 In the aftermath of the severe floods occurring the second week of August in the Northern part of Laos, in which Oudomxay was one of the hardest-hit provinces, Lao Red Cross, with the support of the IFRC, has requested and implemented a 3-month DREF Operation. 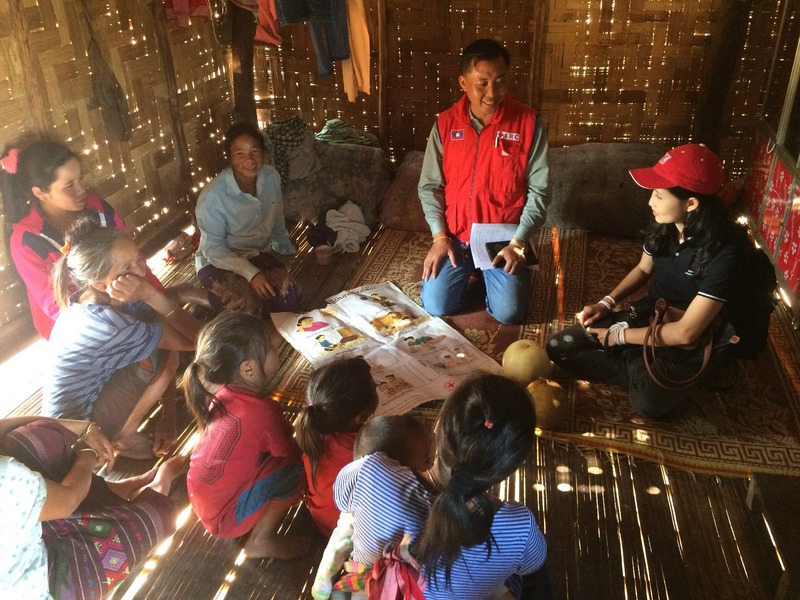 The ultimate goal of the DREF is to address the immediate needs of 5,160 people in 23 villages of two districts: Baeng and Houn of Oudomxay province. The DREF Operation has been successfully implemented over the last three months since the launch. Provide a means of identifying key results achieved/successes, challenges, lessons learned from the operation in order to inform recommendations for future DREF or Emergency Appeal operations, specifically those related to floods. Make recommendations for sustainability and the ownership of Lao Red Cross. The review and lessons learned workshop was attended by Lao Red Cross leadership, operational team, Oudomxay Red Cross branch, departments of social welfare and health in Oudomxay as well as representatives from two districts local authorities, social welfare, health and targeted villages. 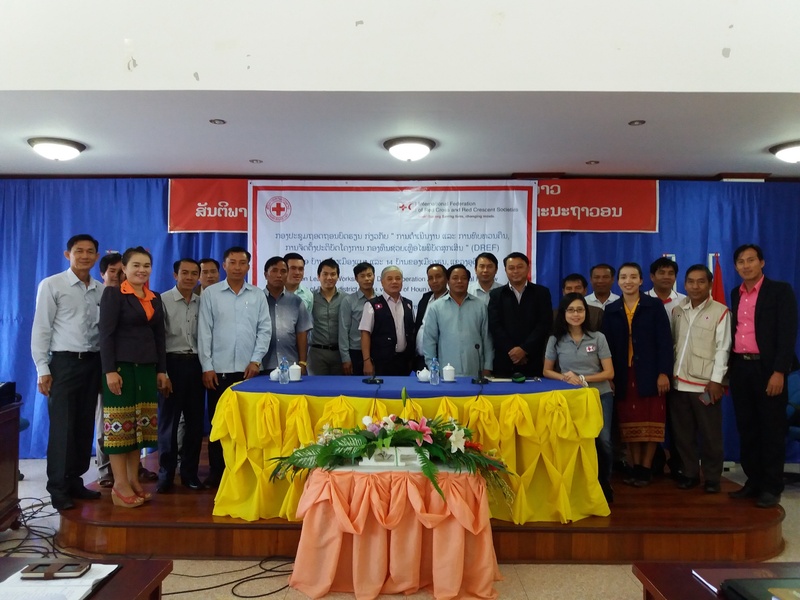 The event saw positive feedback from local authorities and beneficiaries toward the quality of items and services provided by Lao Red Cross during the course of three months. 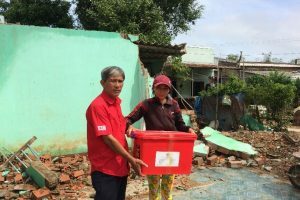 Recommendations made to Lao Red Cross: to further improve its procurement process as well as to strengthen its pre-positioning stocks to immediately reach affected people when a crisis occurs in the future. The total number of people affected stood at 12,242 (as of 23 Sep 2016) in which Oudomxay was confirmed to be the hardest hit and Lao Red Cross’ (LRC) operation targeted area. The LRC is leading the implementation of this operation with technical support from IFRC, in particular, through the deployment of a Regional Disaster Response Team (RDRT) member from the Thai Red Cross Society for an initial period of one month, as well as the deployment of a logistics staff member from the IFRC Country Cluster Team (CCST) in Bangkok for 10 days. LRC also ensured gender and diversity inclusion (particularly for people living with disability, lactating and pregnant women, and women and girls in general) in discussion with IFRC CCST and this highlights their responsiveness to our recommendations to both the assessment approach and the delivery of relief items especially menstrual hygiene kits. LRC arranged technical meetings for LRC colleagues from the Oudomxay branch office, focusing on the main features of the operation, its requirements and related plan of action. Furthermore, LRC leadership visited Oudomxay from 3-7 September 2016 as part of a high-level visit together with government officials. The following week was dedicated to the establishment of an LRC taskforce among departments at national level to manage this flood operation. Detailed assessments in the field for beneficiary selection were initiated on 12 September 2016, along with a survey of rice suppliers in Oudomxay province to inform the planned tendering process. For more information on the DREF operations, see this operation update. Lao Red Cross has started to work with village, district and provincial authorities, to assess the damage and address the most immediate needs. Distribution of rice, food, drinking water, blankets and clothes to the most vulnerable communities has been the first priority. 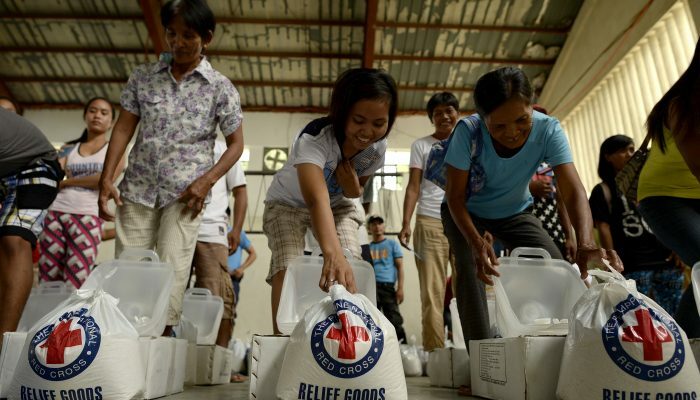 In addition, the Red Cross is preparing kits with hygiene items such as bars of soap, detergent, female sanitary pads, mosquito nets and water purification tablets, and basic medical items. 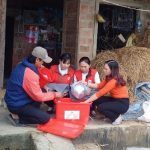 The IFRC has released 128,687 Swiss francs (131,555 US dollars) from its Disaster Relief Emergency Fund (DREF) to Lao Red Cross, to assist 5,000 of the most affected people in Oudomsay, an Regional Disaster Relief Team (RDRT) logistics alert was sent to the National Societies.